Worcester’s MP Robin Walker has praised Worcester City Council’s award of the freedom of the city to former Worcestershire and England cricketer Basil D’Oliveira, in recognition of his contribution to the anti-apartheid cause in South Africa. Born in South Africa, Mr D’Oliveira moved to England in 1960 and settled in Worcester in 1964. He played for Worcestershire between 1964 and 1980 and represented England in 44 tests. In 1968, the England team was due to play in South Africa but Mr D’Oliveira was left out because of South Africa’s apartheid rules preventing black or mixed-race players from competing against white players. Following national outrage, Mr D’Oliveira was called up to the England squad but South Africa cancelled the tour. The affair led to a dramatic turn in international opinion against the South African regime and is credited as being a landmark on the road to the eventual fall of apartheid in the early 1990s. 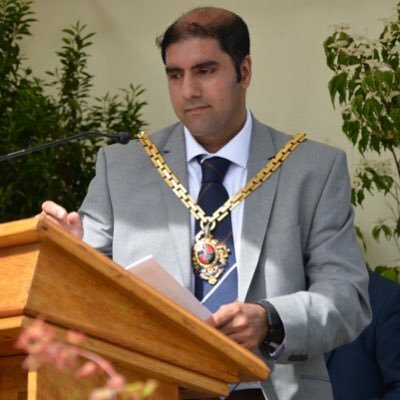 The move to grant the freedom of Worcester to Mr D’Oliveira was led by Councillors Jabba Riaz and Andy Roberts, and was supported unanimously in a council vote this week. There will be an official civic ceremony in September, at which the freedom certificate will be presented to Mr D’Oliveira’s family.